Gigabyte K8N-SLI with model number GAK8NSLI is a motherboard on NVIDIA nForce4 SLI (Socket 939). Gigabyte K8N-SLI supports AMD Athlon64 and SLI platform. 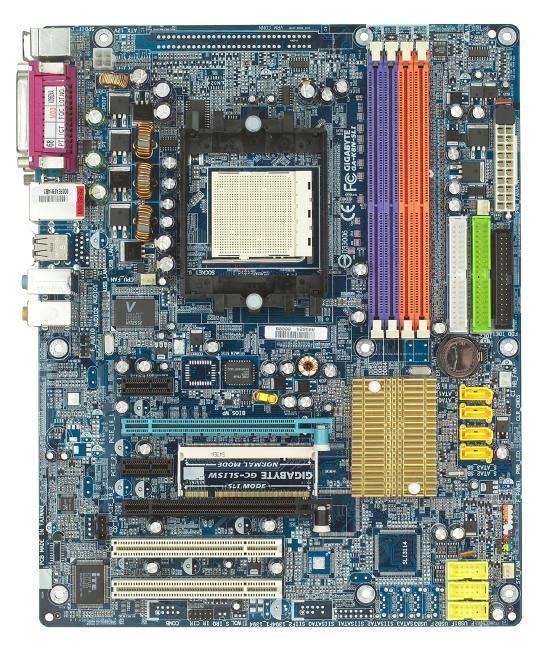 The motherboard features support for AthlonTM64 X2 dual core processors, ability of connecting two SLI-ready PCI Express graphics cards and offers blistering graphics performance, Serial ATA 3Gb/s, NV RAID, NV firewall and Gigabit LAN connection.